Our Mid-Production Inspection Service (also referred to as During Production Inspection or DurPro Inspection) can greatly reduce this risk for you, especially when it is agreed in advance with the supplier. When is a Mid Production Inspection Useful? A DUPRO is useful when you want to check some samples when the first batch of goods have come out of the production line. It allows you to detect quality issues early so they can be fixed before goods are packed and corrective action can be taken on goods that have not yet been put on the production line. Our Mid Production Inspection is provided both as an ad-hoc service as well as part of the 360° Sourcing Service, which takes care of the entire Sourcing process for you. *The services mentioned above are part of the 360° Sourcing Process, not of the Mid Production Inspection Service. With the Mid Production Inspection, an IMEX inspector will visit the factory (or supplier’s warehouse) and physically inspect the goods just after the first batch of goods have come out of the production line. 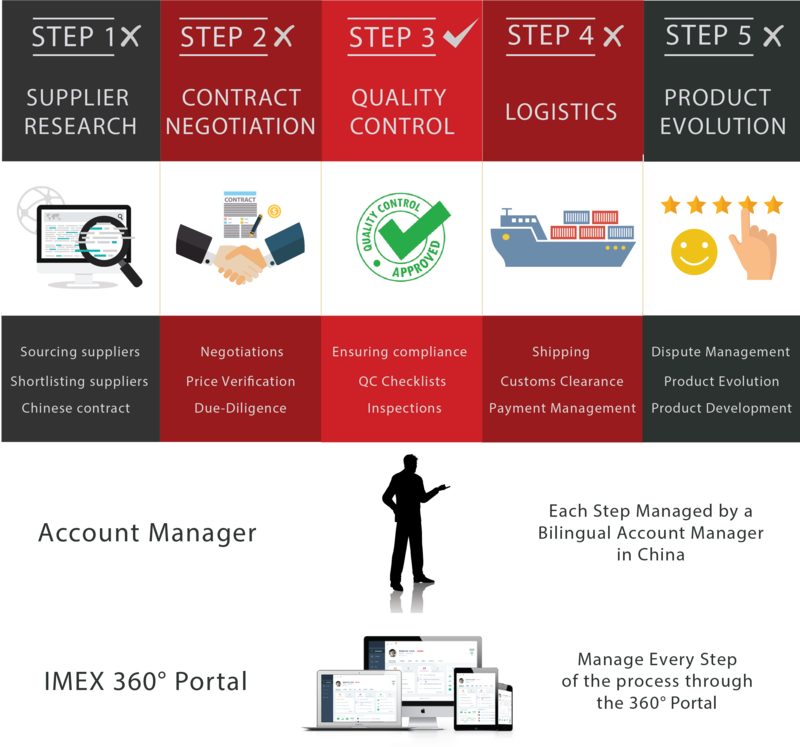 When used as an ad-hoc service, the client provides us with the QC Checklist and/or samples whereas when used as part of the 360° Sourcing Service your IMEX Account Manager will draw up the QC checklist for you in Chinese to avoid any issues due to the language barrier.